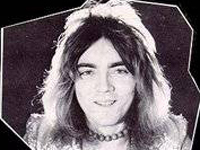 John Rutsey, the original drummer for Rush died at age 55 from a heart attack resulting from a lifelong illness of diabetes. Rutsey played drums with Rush from 1968 to 1974, as well as on the band’s eponymous debut album, but departed soon afterwards, apparently due to concerns about the affect of long tours on his health. According to Rush’s official biography, Rutsey was supposed to write the lyrics for the band’s first album, but grew dissatisfied with his attempts and never completed them. He was replaced by Neil Peart, who remains as the band’s drummer and lyricist. Rush guitarist Alex Lifeson said Rutsey became a fitness fanatic after leaving the band and continued with have contact with Lifeson until the early 1990s.